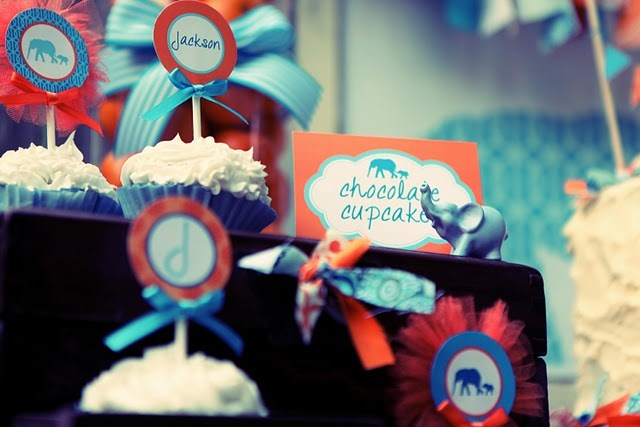 Juneberry Lane: Juneberry Baby: Little Peanut Baby Shower (Blue Elephant:) . 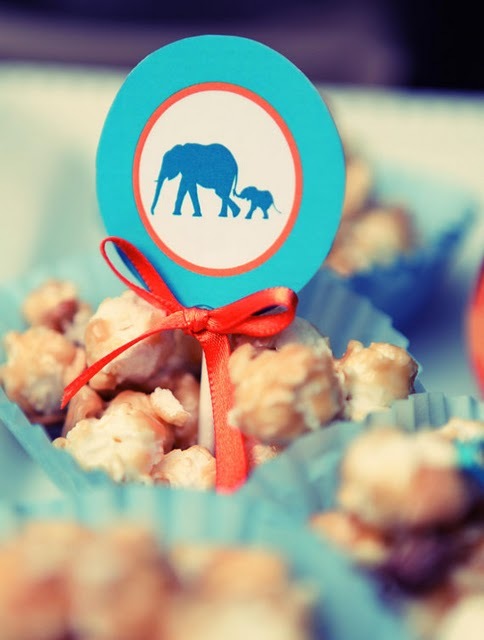 . .
Juneberry Baby: Little Peanut Baby Shower (Blue Elephant:) . . . 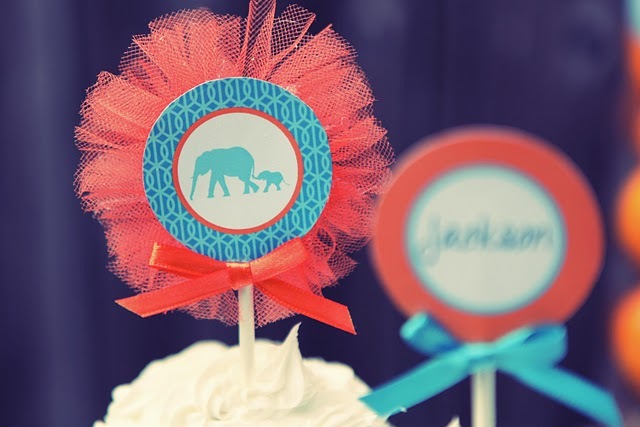 So last week we focused on the ladies, and this week we are going to bring it back to the boys with an elephant baby shower in BLUE! I am so excited to show you this different take on last week's party, and how changing up the hue a bit makes for a whole new style of shower! 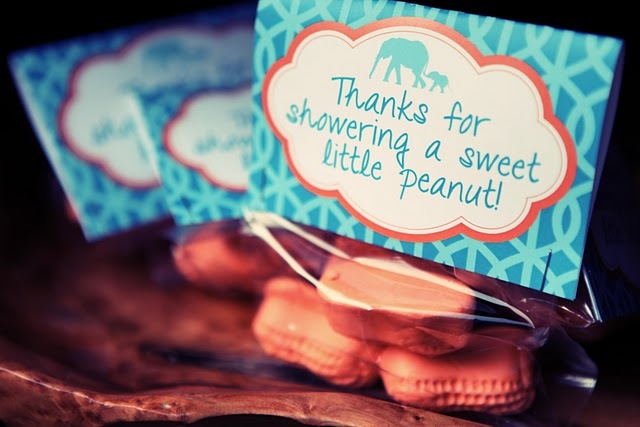 Behold, a 'Little Peanut Baby Shower' . . . This color palette just makes me crazy happy. 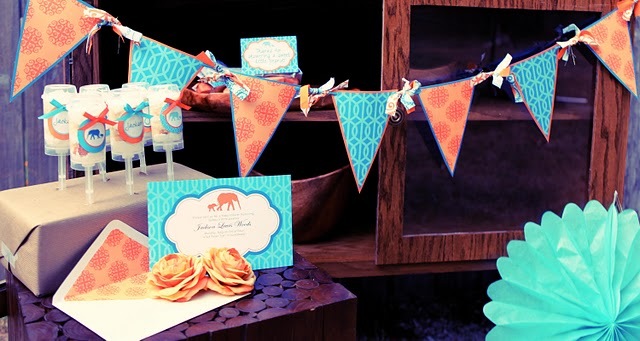 I love how the warm orange complements that cool turquoise . 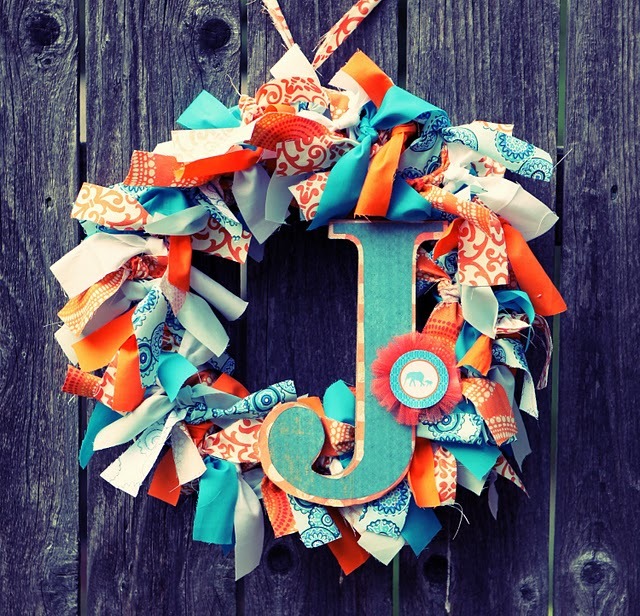 . .
And this fabric scrap wreath is just phenomenal, don't you think? 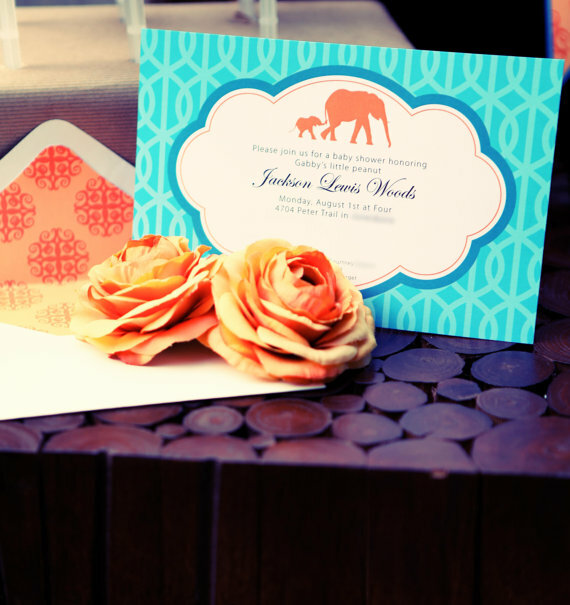 How about that fabulous turquoise elephant? Sigh . . . 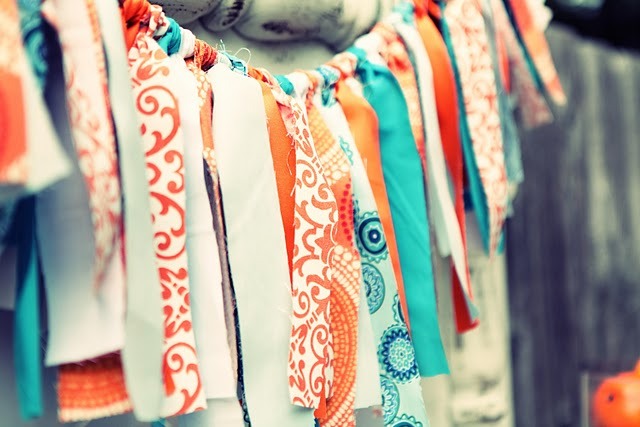 I am so in love with this handmade paper bunting . 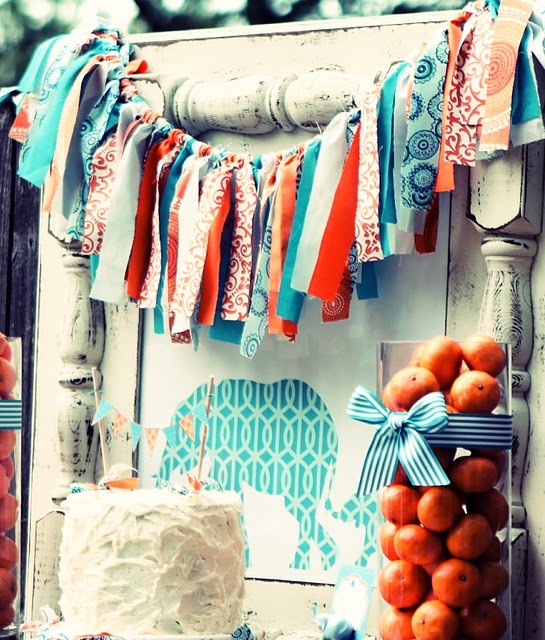 . .
Oh dear, there's even cake bunting . 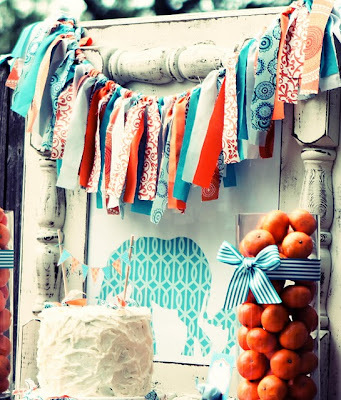 . .
Who knew a border of tulle could be so charming? 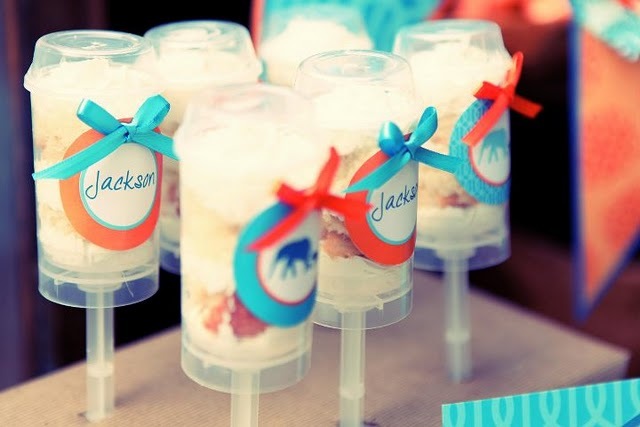 Cake push-ups. 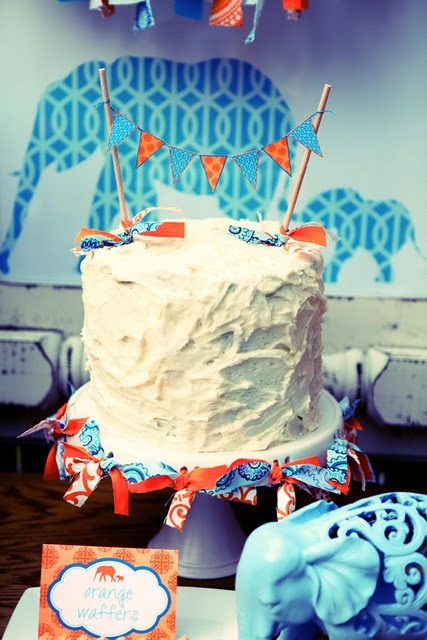 That's right, CAKE PUSH-UPS! We are definitely going to need to talk more about these . 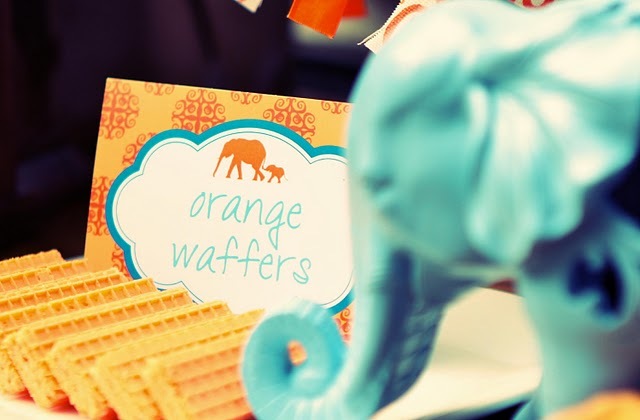 . .
Did you just catch a glimpse of those orange circus peanut favors? Adorable. 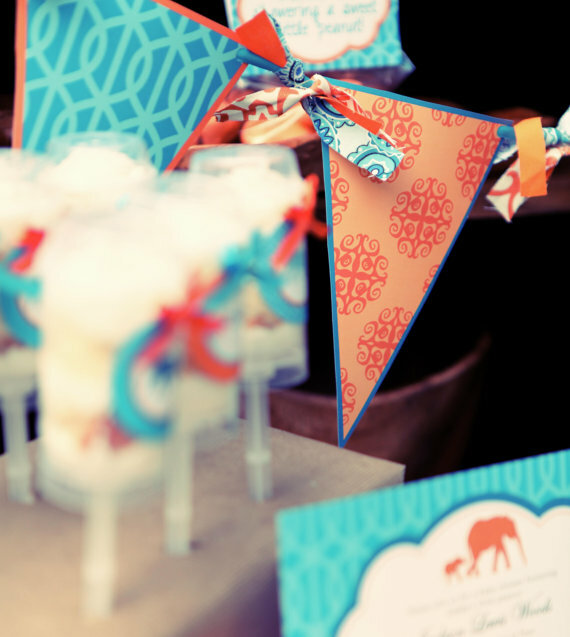 I didn't think it was possible to find a match for our Pink Elephant Baby Shower that we featured last week, but I do believe we have made it happen! 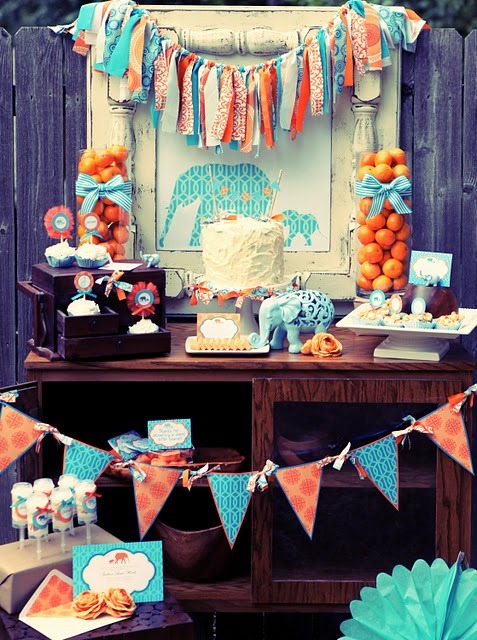 Thank you to Kara's Party Ideas for bringing us this stunning baby shower, and stay tuned for a full line of Elephant Party Printables, available in our Etsy shop soon . 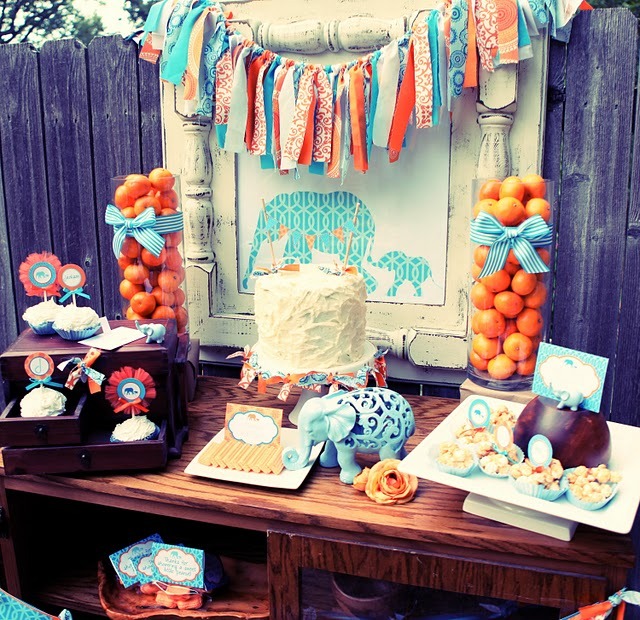 . .
What a cute looking party!!!! 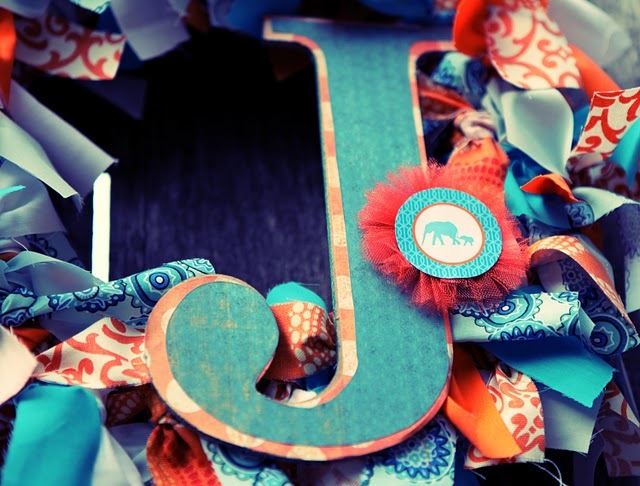 I love all the details and the colors too!